Celebrate Beverly Hurst’s retirement from SF Wednesday, Feb. 27, from 3:30 – 5:30 p.m. in WA-204. 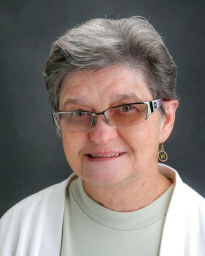 February 12, 2019 – Beverly Hurst is retiring after being a valued member of the Santa Fe College Nursing programs for the past 29 years. She served on the Career Service Council and has volunteered on community-based activities. She was a member of FACC/AFC who often helped with Carnations Sale for Valentine’s Day and with membership at one time. She also supervised summer youth work study students. She has always been willing to help with faculty or students who need assistance. Beverly is reliable and very knowledgeable. She received the 2017 SF Career Service Counsel S.T.A.R. Award. The Career Service S.T.A.R. award was initiated to recognize Career Service “Staff That Are Remarkable” in “Service, Teamwork, Attitude, and Reliability.” She consistently put the college first and fulfills the college’s mission and vision of adding value to the lives of our student’s and enriching the community. The students respect her, the faculty depend on her, other SF employees appreciate her and people in the community find her to be professional and polite. She will truly be missed and is leaving very big shoes to fill. Please join us for her retirement party in WA-204 Wednesday, Feb. 27, from 3:30 to 5:30 p.m. to celebrate her years of service and send her off on her new adventure.